Funko has unveiled its next Marvel Mystery Minis Blind Box Series, and it features everyone’s favorite Merc with a Mouth, Deadpool, in a variety of different fun costumes! This Deadpool Mystery Minis Blind Box Series features 2.5” versions of Deadpool as a Panda Bear, a Chicken, a Viking, a Mermaid, a Punk Rocker and so much more. You never know who or what Deadpool will show up as! 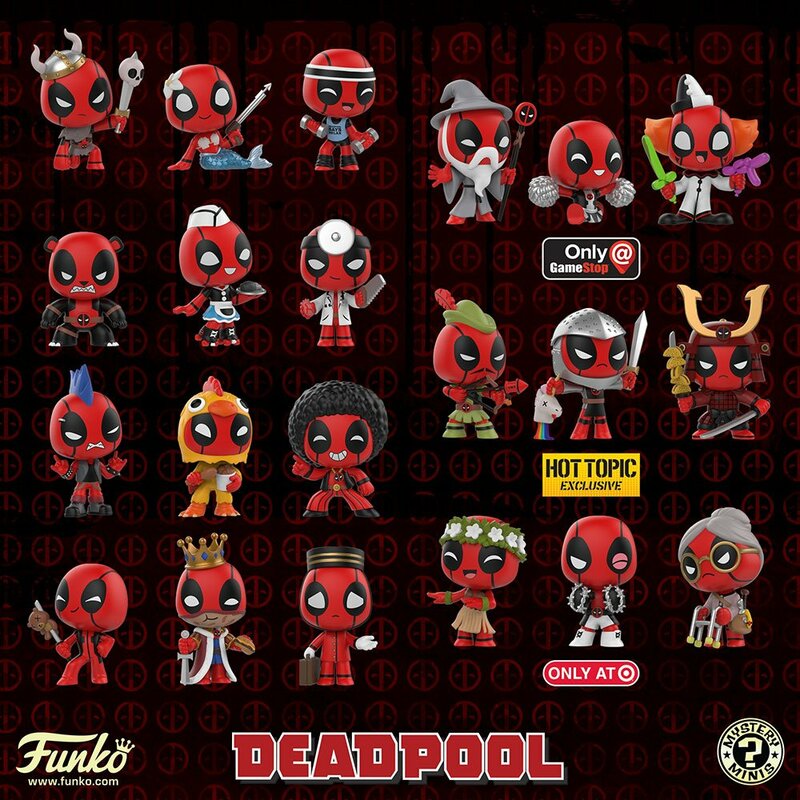 And look out for the GameStop exclusive Cheerleader Deadpool, Clown Deadpool and Wizard Deadpool, Hot Topic exclusive Knight Deadpool, Robinhood Deadpool, and Samurai Deadpool, and Target exclusive Old Lady Deadpool, Boxer Deadpool and Hula Deadpool! The Deadpool in Costume Mystery Minis Blind Box Series can be pre-ordered now at Entertainment Earth! A full case of twelve Marvel Mystery Minis Series blind boxes can be purchased for $67.99 here or a 4 pack of blind boxes for $24.99 here.